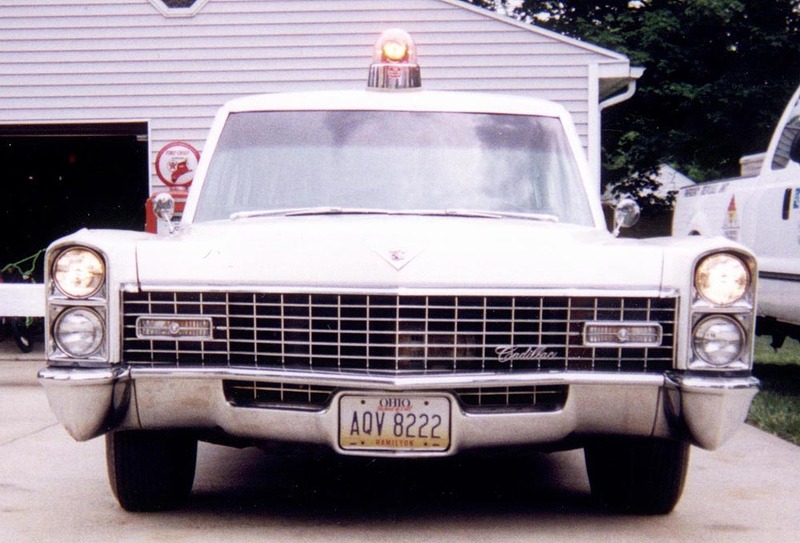 This 1967 Superior Crown Royale Combination is owned by Steve Doan. He is the 2nd owner, it currently has 43,000 miles, and runs and drives real nice. Steve has all the sales documents, maintenance and repair records, a Superior body and chassis manual and supplements, and a GM Cadillac Shop Manual for the car. This coach was formerly owned by PCS President Tom Hoczyk. 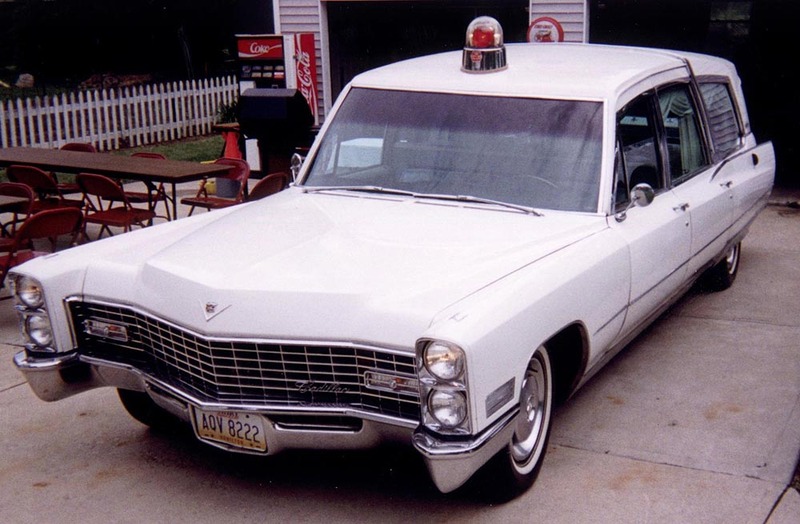 Here is Tom's story: "It's a 1967 Superior Cadillac Manual 3-Way Limousine-style hearse. The color is Aleutian Gray with a 2-tone gray vinyl interior. 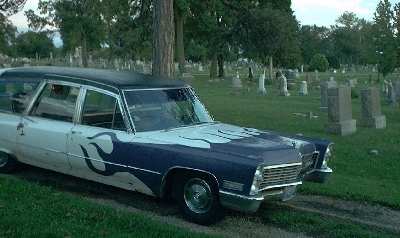 This was my first hearse, purchased in June, 1990. 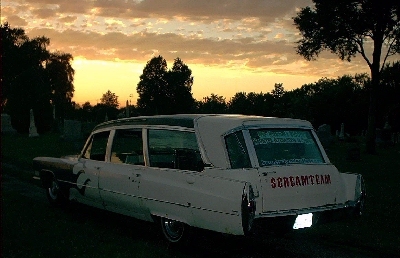 Seen here in front of the offices of Parks Superior Sales in Somersville, Connecticut (the original distributor) the car served for 2,625 funerals in Torrington, Connecticut before being retired. I flew to Connecticut and drove it back to Indiana. 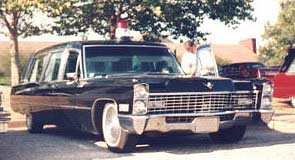 Superior Coach told me that fewer than 20 limousine-style 3-Way coaches were produced in 1967. As my stable was getting filled with other cars, this coach did not get driven much in recent years and was reluctantly sold in 1997. It's new home is near Memphis, Tennessee." 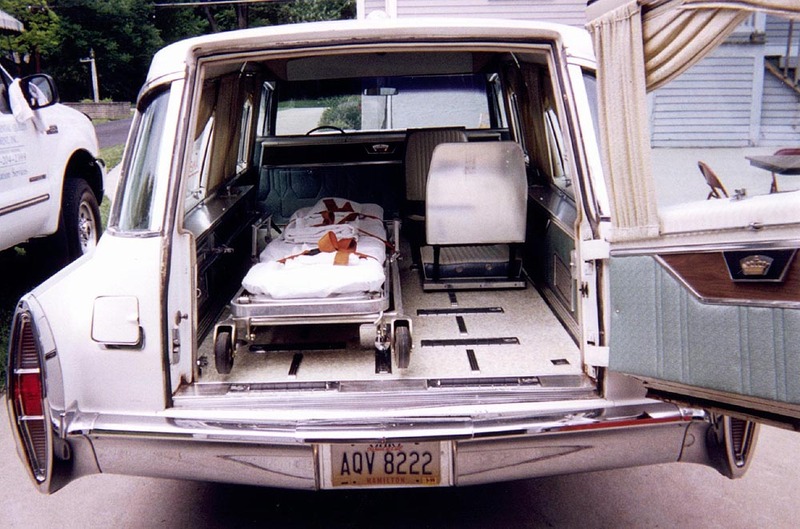 The next three pics below were sent to me by a fellow hearse enthusiast who found them on the net. If I have inadvertently infringed copyright of your pictures and you would like them removed, (or would like credit for them) please advise me. This is Mike Nicolen from Kearney, Nebraska USA and his 1967 Superior endloader landau. Mike bought it to haul music equipment in. 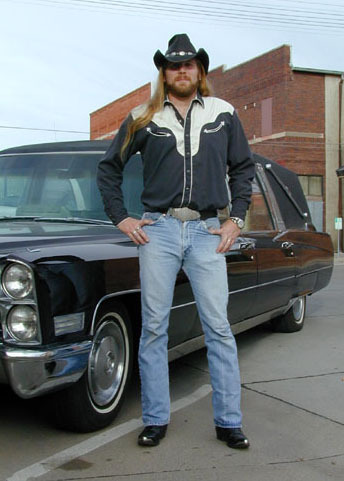 He has a one-man band called "Mike Nicolen & The Lost Sidemen," and the hearse has been a great promotion for his act! 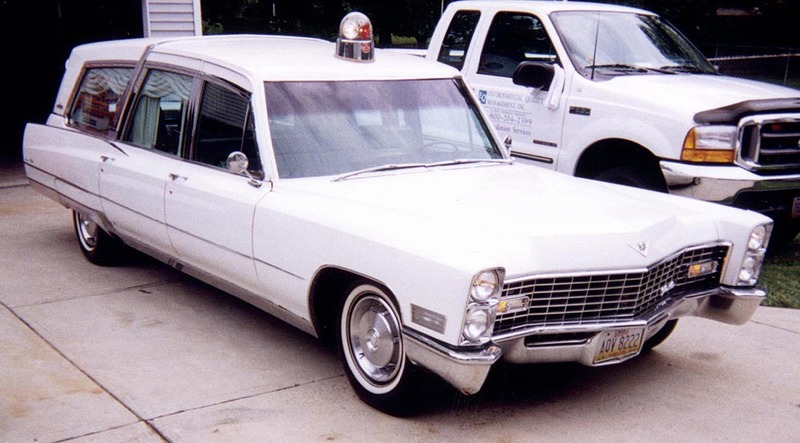 Submit your 67 Superior hearse, ambulance, combination or flower car for inclusion here!